It’s time for another Mani Monday! This week, I decided to go with a nice fall nail look! I’m currently wearing two coats of Fifth Avenue by China Glaze on my nails, which is an absolutely gorgeous dusty rose colour! This is one of my favourite China Glaze colours of all time! It’s so perfect for this time of year! I find it’s very flattering — it’s a nice warm colour, and it just looks good! Other than the colour, I really like this nail polish because it’s so opaque and it’s so easy to apply — it just glides on my nails. Plus, it dries relatively quickly, which is always a plus in my book! Have you tried Fifth Avenue by China Glaze? 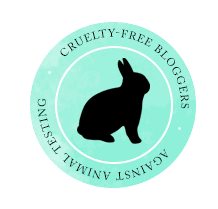 Previous Post A to Z of Buying Cruelty-Free!